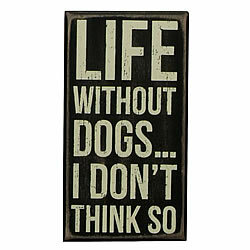 Measures: 4" x 7½" x 1¾"
Life without dogs … I don't think so. Measures: 12" x 6" x 1¾"
Please remove your shoes. The dog needs something to chew on. 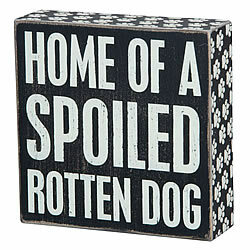 Measures: 6" x 6" x 1¾"
Home of a spoiled rotten dog.